Real Publishing Means High Standards: Plenty of poorly edited, poorly-designed books contribute to the perception that “all self-published books are junk,” even when many big publishing houses sully the stream with their own mediocre offerings. So much effort goes into creating a book. Why not make yours excellent? Get an editor. Work with a designer. Don’t typeset your book with a word processor. Even if you can’t afford to work directly with professionals, do some research and at least get some professional opinions and direction. In life and in business, “good enough” just isn’t good enough; success is hard enough to come by without the handicap of mediocrity. Where budget limits your resources, substitute innovation, education and perseverance. Writing is a Craft—Publishing is a Business: Split yourself into two entities—the excellent writer and the excellent publisher. Have the excellent publisher buy your excellent manuscript as an investment. 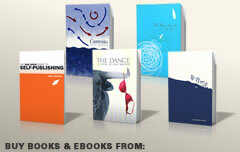 Make sure the editing, typesetting and cover design are of investment quality. Start your own publishing imprint and work with a printer/distributor like LightningSource or CreateSpace. Use print-on-demand (POD) to sidestep the risks and liabilitie­s of huge print runs and expensive bookstore returns. Buy your own ISBN numbers and own 100% of your rights and royalties. Take control of the sales commissions you are willing to pay. Develop a marketing plan and build community around your book. Be a real publisher. Real Publishing Requires a Business plan: Neither self-publishing nor traditional publishing are “better” or more “real.” Do your research; understand the advantages and disadvantages of each approach. Part of being a professional publisher involves rejecting books that won’t sell. Be objective about whether your book is an art project or a business product. Publishing art books (fiction, memoir, etc.) is a noble undertaking but if you intend to start a successful publishing business, you may wish to write some practical nonfiction books—marketable products that can offset the expenses of producing your more personal, creative works. At very least, proceed with an understanding of the risks (as well as the important personal benefits) of publishing a book that may never recover its publishing costs. Define success in a realistic context; it comes in forms other than financial, but confusing artistic success with business success is a road to disappointment. Writing your book is 99% of the work. Producing and promoting it is the other 99%. 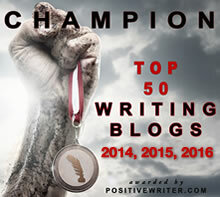 If you intend to be a publisher as well as a writer, be excellent at both. You can be a “self-publisher” or you can be a “real publisher;” the difference is up to you. Thanks for the great article. I’ve been reading quite a bit about this lately, even from traditionally published authors who are learning their profits can be 60% instead of the 10%, 15%, or whatever else is specified in their contracts. I’ve worked both in-house and as a freelancer in nonfiction editing and have been writing my own fiction for six years now. I’m excited about the changes in market trends but disappointed that few of the large publishing houses seem poised to keep up with the technology and needs of their readers. Thanks for opening this discussion on LinkedIn. Always telling to read people’s comments. You say some nice things in this post, but wow, you get some things completely wrong, things that could harm a writer who reads this and believes you. If you pay someone like XLibris or iUniverse to publish you, you are not a publisher—and neither is the company that claims to be your publisher. That depends on the contract. Ideally, you’re the publisher, and your “publisher” is actually a printer (who’s also probably ripping you off). But some contracts license parts (or all!) the copyright to the vanity press, which makes them the publisher. 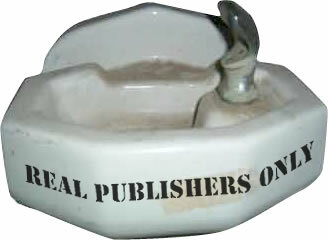 Vanity presses are one method of self-publishing. No more, and certainly no less. Once [a publisher] buy[s] your manuscript, it’s theirs. NO. No, no, no, no, no. Publishers license copyright from the copyright owner, which is usually the writer. For franchises like Star Trek and Star Wars, someone else owns the copyright and hires writers (or hires a publishing house, which hires writers) to write books for the franchise. Exception: if a publisher buys “all rights” or hires a writer to work “for-hire”. Unless something’s “for-hire” (they give plans, characters, etc), RUN from any contract wanting “all rights” to your work. Disclaimer: I’m no lawyer, but I’ve been selling my writing for, oh, 6 years, now. Just in web writing, I’ve written things both “for hire” and for myself. BIG difference between how those contracts (or projects) work. I’ve heard The Copyright Handbook is a good resource on the topic. The vanity press is formally the publisher, but they take no risk on the book and therefore, in spite of their legal standing as publisher, are not real publishers in my book. Printers may charge fair prices or not, but they don’t make sales commissions on the back end.Even if the negotiate favored nations prices with distributors, it doesn’t effect the return to publishers. Your distinction about licensing publishing rights is correct. However, it is quite common to find writers who complain that their work has been sterilized by a house editor without their involvement or that a cover has been contrived by a house designer who hasn’t read the book. Many writers are so overjoyed to get a publishing contract that they fail to negotiate control over the work or exit clauses that can return control of it to them after a publisher has backlisted it and moved on to other properties. Trade publishing has its pitfalls just like indie publishing. Whatever route a writer takes, some caution, research and understanding of the publishing business is a prerequisite for success. Thanks for reading and keeping me “honest” on the details. Great post Dave. When I was writing Sailing Faith: The Long Way Home, I was writing and editing and writing. I thought the product would market itself in quality and professionalism. Not so! And I’m learning the hard way that everything you have to say about the ‘other half of the business’ is true. The trouble is that in some of us, giftedness hasn’t been doled out in that manner, and the marketing for me possesses the steeper learning curve. The artist writes. The entrepreneur sells. Rarely are they of the same mindset, but self-publishing requires that stretch. It’s a worthy exercise but it sure is a lot of work. Kind of makes you want to sail away sometimes, doesn’t it?